← How Can Landscaping Make It Easier to Sell Your Home? 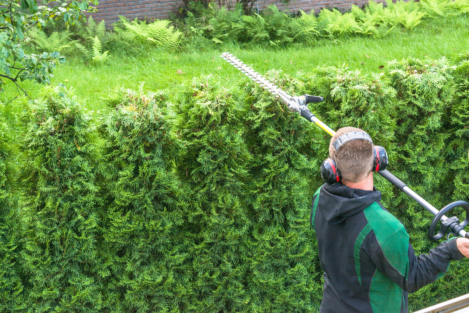 Unless you are confident in your landscaping skills, it may be a better idea to find professional landscaping and tree services in Broken Arrow, Oklahoma. A professional will be able to help you get the results you are looking for and it may even save you money. There are many different kinds of landscaping services out there, so you will be able to find a service that is able to benefit you. When you are landscaping your property, it is important to remember that less is more. Clean and simple yards look a lot better. Having too many things can make it look cluttered and disorganized; this can also have an adverse effect on your property value. A professional landscaper can help you determine what a good amount of landscaping should be for your particular situation. One of the easiest things that you can do but has a large impact is to mow the grass. Simply keeping your grass trimmed and looking good can make the entire property look amazing. Also, it is a good idea to keep the grass watered during the summer to prevent it from drying out and turning yellow, which never looks good. You can also hire professionals who can maintain your grass and other aspects of your property, completely hassle-free. Those are just three tips for you to keep in mind when you are interested in landscaping your property. If you would like to find out more about effective landscaping or about our superb tree removal service, please feel free to get in touch with AJ Tree Service for more information anytime. This entry was posted in Landscaping and tagged landscaping services, Mowing the Grass, Professional Landscaper. Bookmark the permalink.